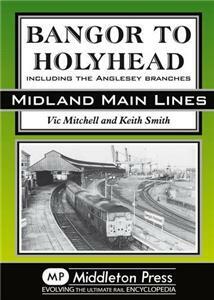 The attractions of this remote length of main line include the complex terminus at the port of Holyhead and the unusual bridge over the Menai Strait. Also illustrated are the minor rural stations which avoided the axe and the many Anglesey ones which did not. Nostalgia abounds.